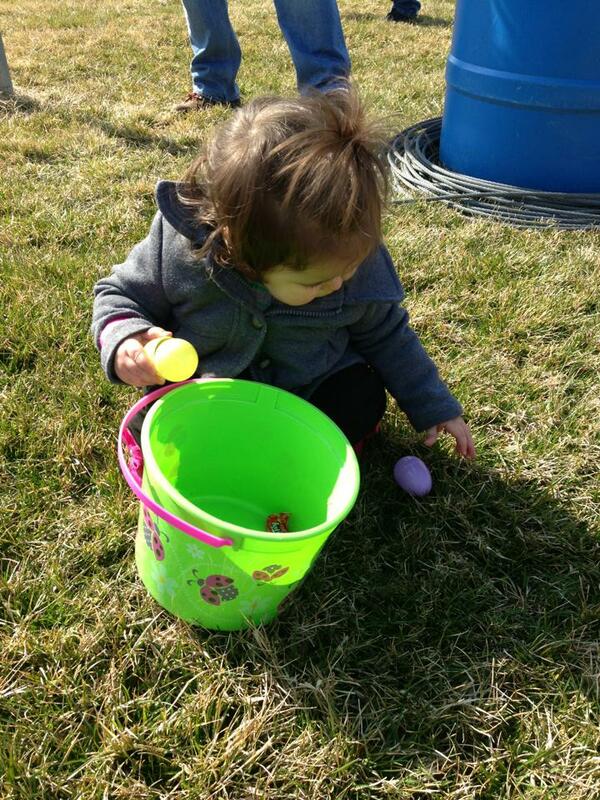 Join my family and I at the fifth annual Easter egg hunt on April 4, 2015! 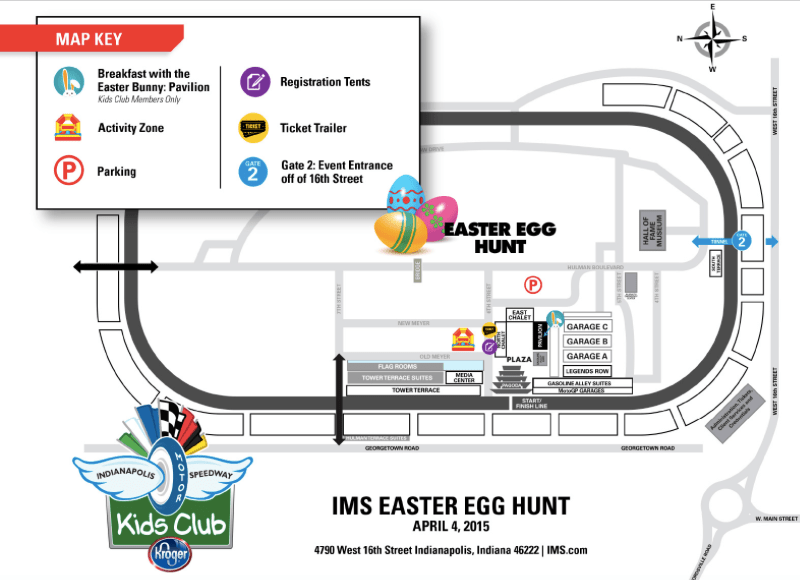 The IMS Egg Hunt is how we know that the frigid winter has left, race season is under way and the Indy 500 is around the corner. If you’ve never been to one, then you are totally missing out! There is candy, music, games, Indycar drivers, and you cant forget about Axle and Alley, which by the way — I really dig their new race outfits! This year’s Easter egg hunt will serve a very noble cause, because admission to the event is FREE of cost with the donation of a non-perishable food item. All collected items will be donated to Second Helpings Inc. to prepare nutritious meals for hungry children and adults in the Indy area. So break out those pantries and donate your heart out! 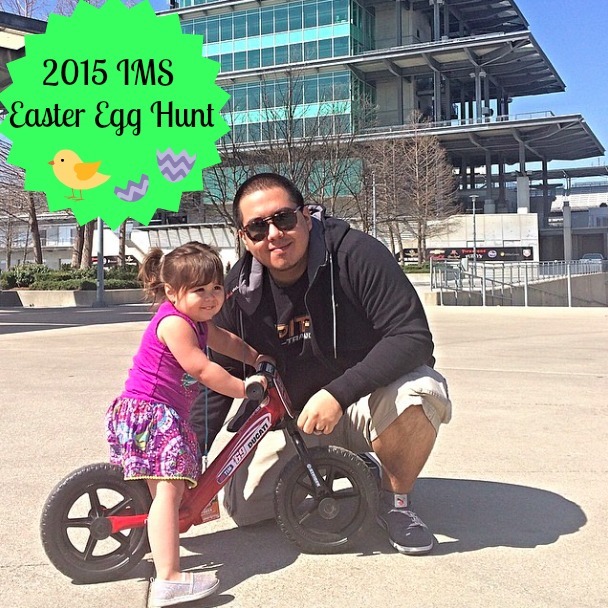 This will be our third IMS Egg Hunt and they keep getting better and better every year. Our first year both of our girls had a blast collecting a ton of eggs, and we even had the chance to meet Indycar driver and team owner Ed Carpenter. Last year we were pleasantly surprised to see a ton more families come out, as well as all the games and activities for the kids; like Radio Disney, bouncy games, etc. 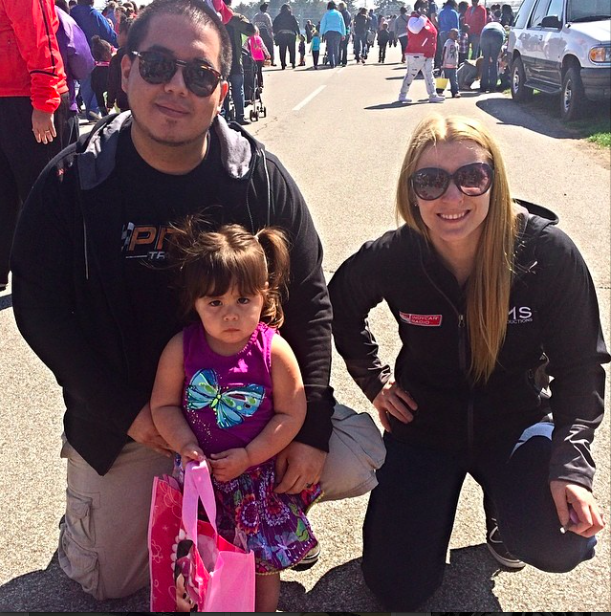 We even had the chance to meet Indy 500 driver Pippa Mann! 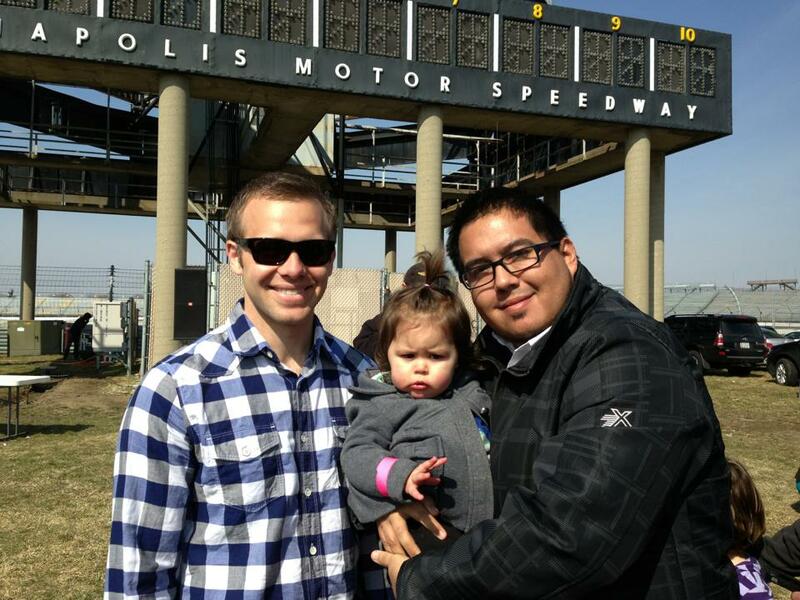 Josephine and I with Ed Carpenter. Hanging out with Pippa Mann! I can only expect for this years egg hunt to be even bigger, so I’ve compiled a few items that I suggest you take care of in advanced. This will save you time and get you straight into the action. Pack the night before. Have your kids must haves ready. Bottled water, light jacket, etc. Have your donation items ready in a plastic bag. Bringing a baby or toddler? Bring a stroller. Lines for activities and games can get long, so better safe than sorry. Don’t fill out forms last minute. Click here to RSVP and sign the waiver now. Hope you have a blast, and don’t forget to share your experience with us!